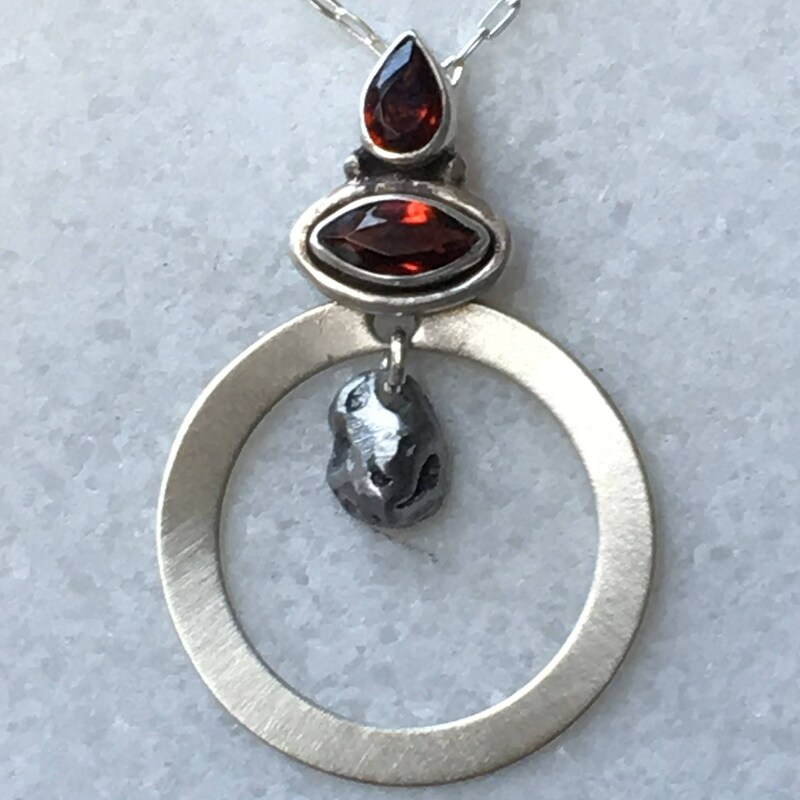 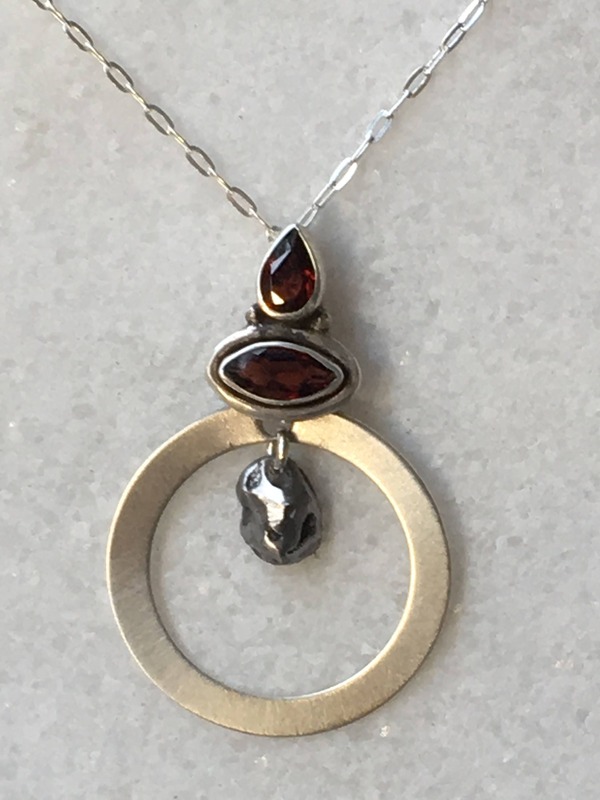 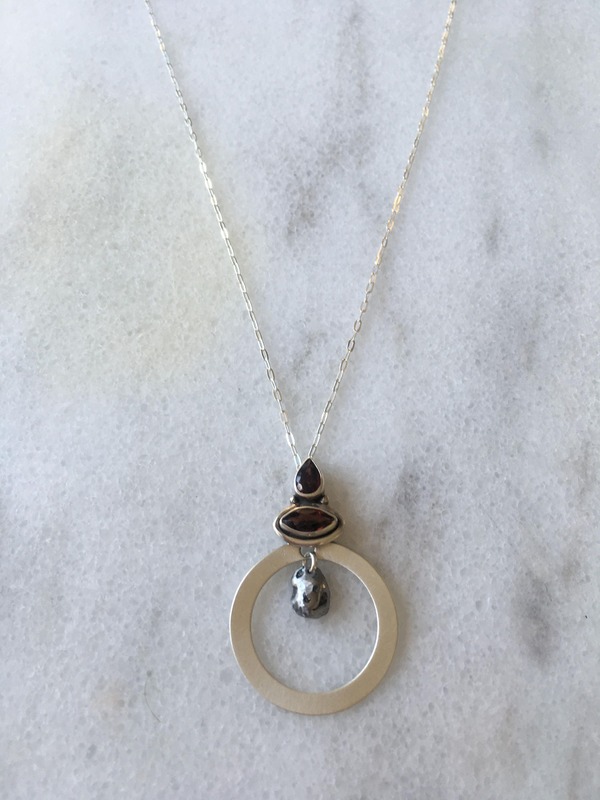 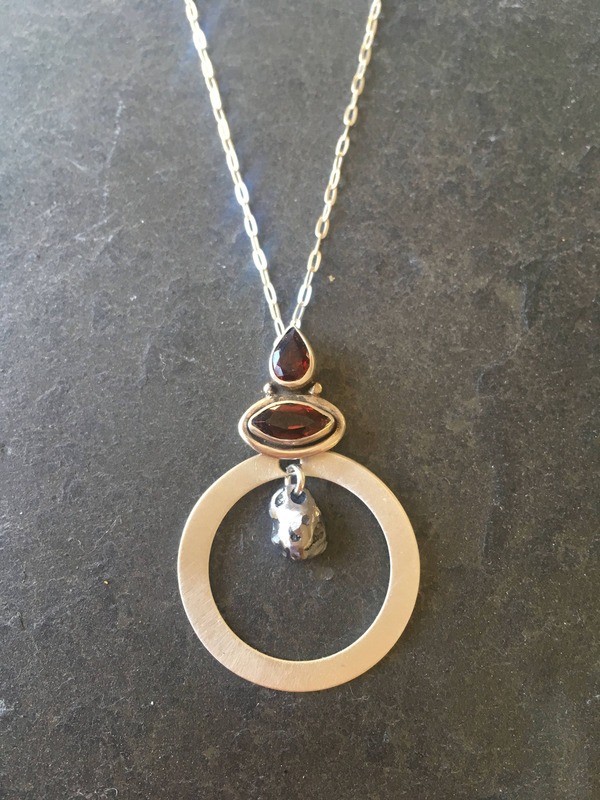 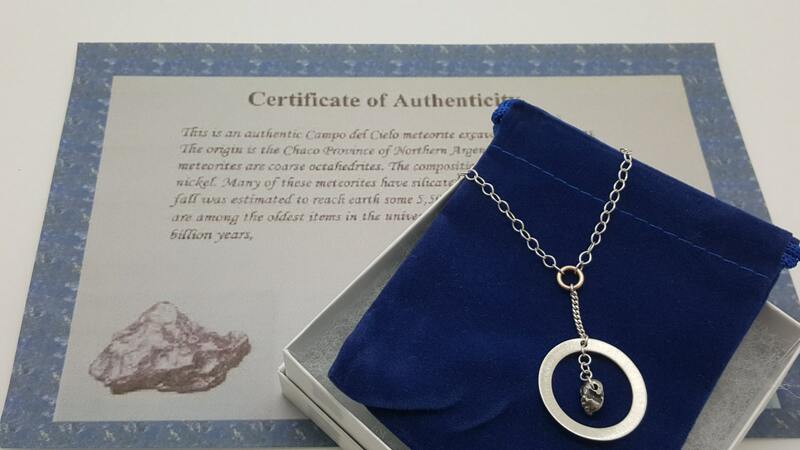 This Garnet Birthstone Necklace and Meteorite Pendant is so pretty. 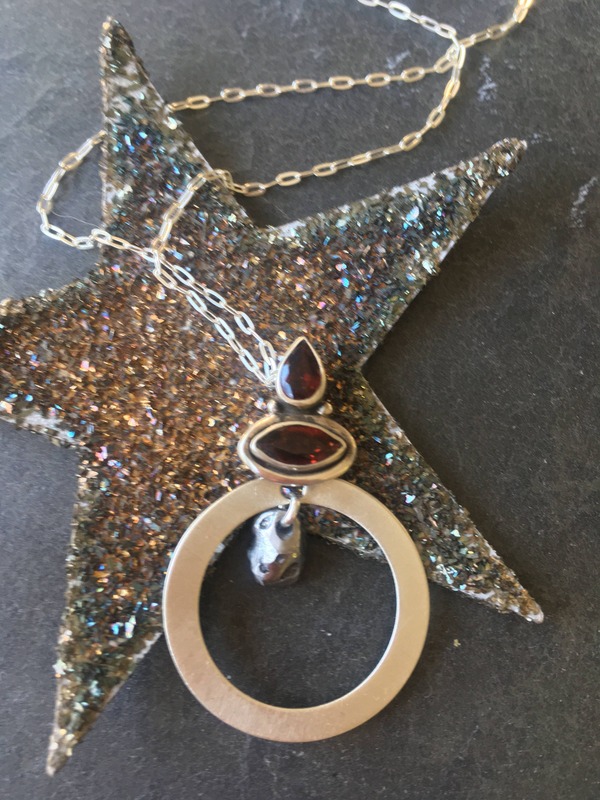 It is romantic and polished looking but yet still has a modern look and can be worn with that little black dress or even finish a boho style look! 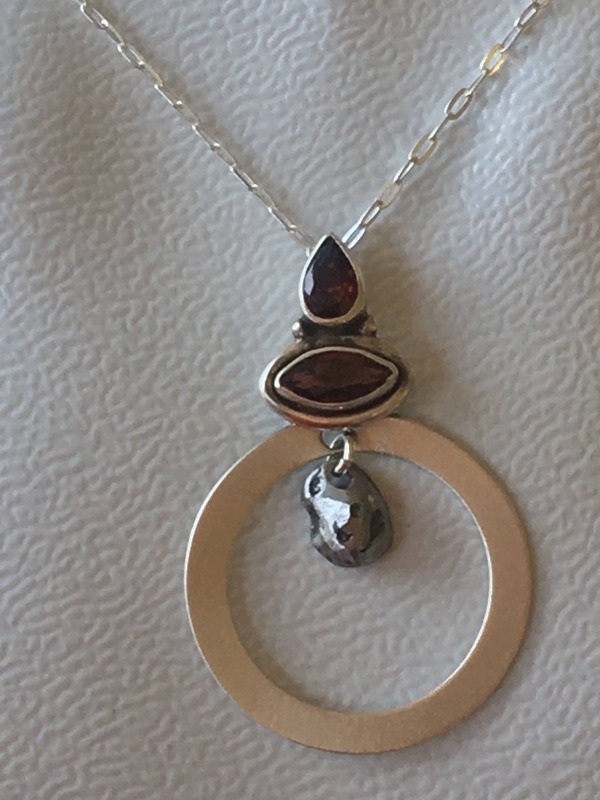 Because the chain is attached to the back it looks like it is floating. 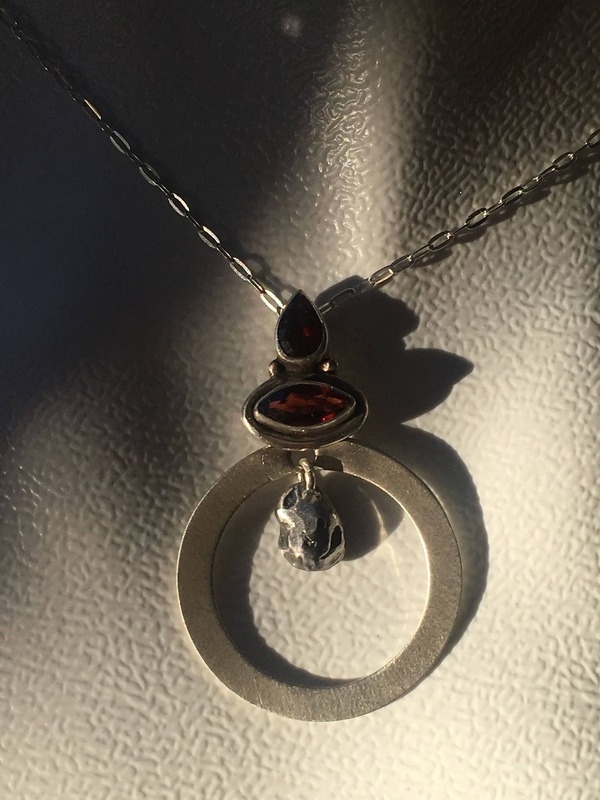 Completely handcrafted with love for that January Birthday Gift you have been looking for. 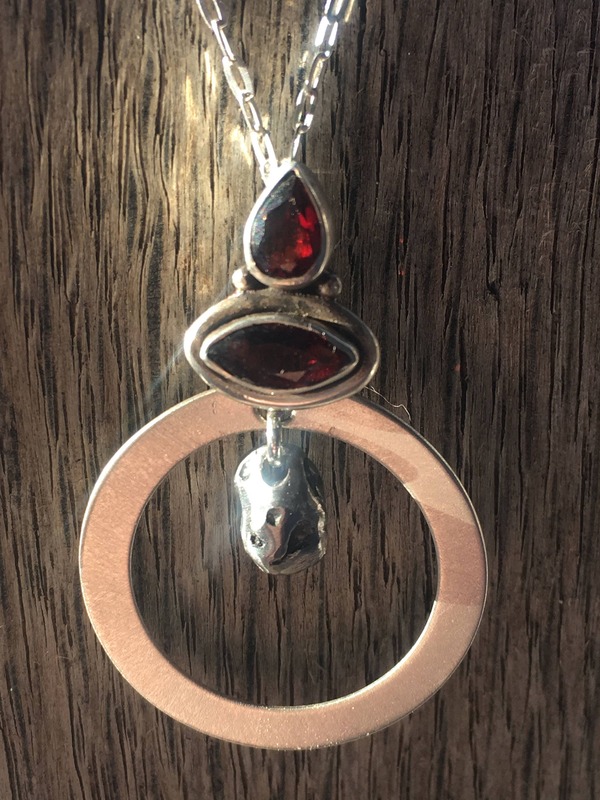 This is a powerful symbolic Jewelry piece to add to your collection or that of a loved one. A romantic spin on one of my most popular designs.